Picture CD in jewel case with 20 page colour booklet. 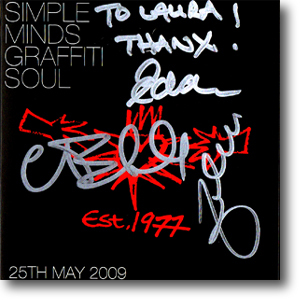 The booklet includes an introduction from Jim and lyrics and art interpretations of the main eight tracks of the album. 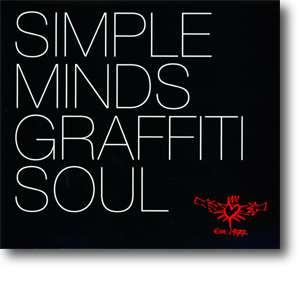 Graffit Soul picture CD in glossy jakebox with 24 page colour booklet. Searching For The Lost Boys picture CD in glossy jakebox with additional sleeve notes. Both are housed in a glossy card slip case. 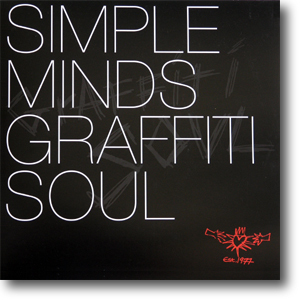 The booklet with Graffiti Soul was originally planned for the standard edition as well, but was slightly redesigned and slimmed down for that release. The Searching For The Lost Boys jakebox includes exclusive photographs of the band at Rockfield and sleeve notes by Jim. Double LP with colour labels, two colour inner sleeves (carrying sleeve notes, pictures and lyrics) housed in a gatefold sleeve. Only 800 copies were pressed. 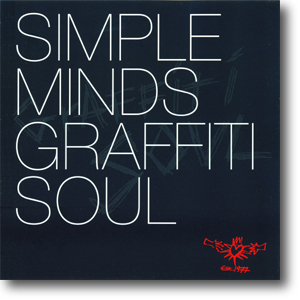 The gatefold features a unique "smashed glass" graphic across the graphics. This was the standard edition of the CD housed in an exclusive picture glossy card slip-sleeve. These were only sold at the HMV signing session in Glasgow on the 25th May. Those whoe purchased the standard CD were given this slip-sleeve for Jim, Charlie and Eddie to sign.